He began studying guitar aged 14, and during the following years he won many national competitions and television contests. He also participated in many acoustic guitar festivals both as an artist and as demonstrator, played as opening act in the shows of great guitar players such as Don Ross, Franco Morone, Frank Vignola, Massimo Varini and Bermuda Acoustic trio. He took part in Nico Di Battista’s project “ Nuovi segnali Acustici”, recording two of his original tunes. During these years he collaborated, as acoustic and electric guitarist, with several great artists such as Frank Vignola, François Sciortino, John Doan, Nico Di Battista, Bermuda Acoustic Trio, Night riders blues gang, Sunny boys, Valentina Tesio, Franco Fasano, Tommy Emmanuel, Mark Harris, Michele Ascolese, Ivan Ciccarelli, Andrea Scagliarini. In December 2012 he released his first official album " Skylines". In 2013 Lorenzo presented his album in many cities, among which Frankfurt ( Germany), during the MUSIKMESSE 2013. From October 2013 he lives in Parma, where he studies jazz/pop guitar at “ Arrigo Boito” conservatory. 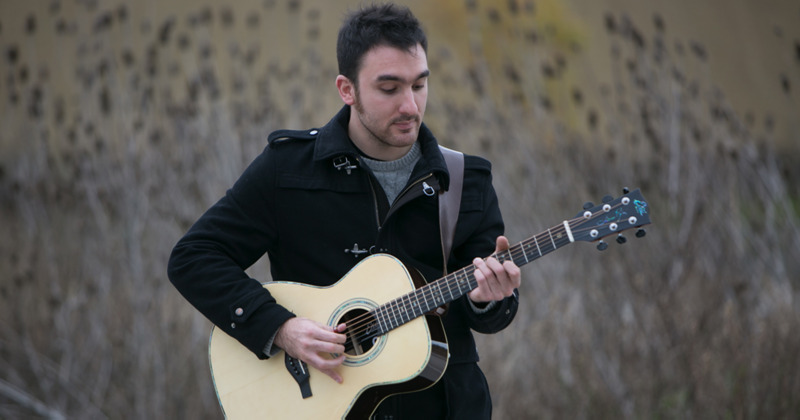 In Parma, Lorenzo works also as acoustic/electric guitarist and session man with many rock/pop bands and singers, among which include Stevia, Fuori Onda band, Oliver, Alfonso Olivo, and continues giving guitar lessons. In September, 19 2014 he performs as guitarists and singer in the show “ Faber”, under the art direction of the jazz singer Rossana Casale: the show was advertised in Fabrizio De Andrè foundation's official website. From December 2014 Lorenzo is official endorser for Eko Guitars.